Professional and nice owner, cleanliness, attention to detail, location. 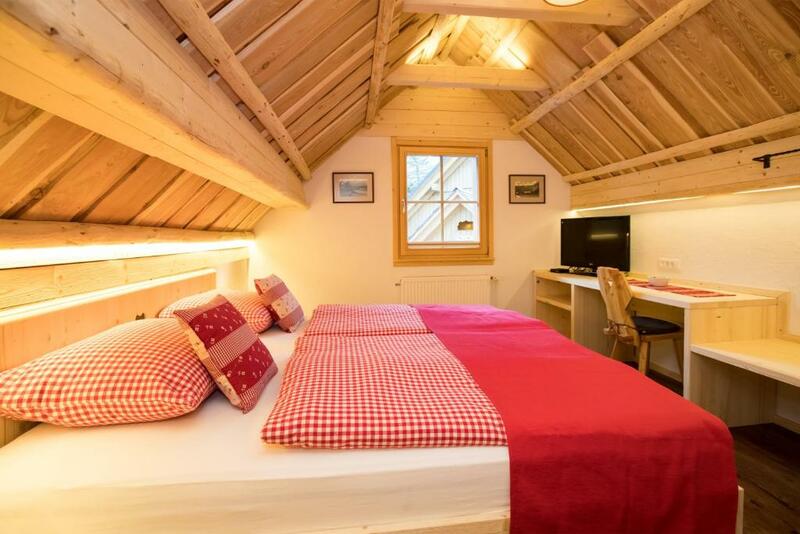 By far, the most beautiful and coziest chalet I ever stayed in. 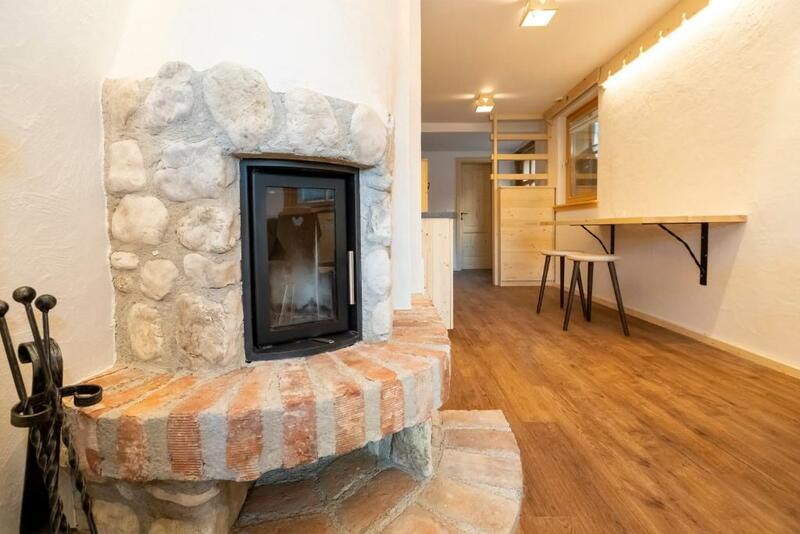 The location of the apartment is absolutely wonderful - surrounded by mountains, walking distance to the lake and the river under your windows. It is spacious and comfortable. The kitchen is fully equipped, but you have to bring your own food - there are no decent restaurants in the vicinity. All in all - very good place for exploring lake district in Slovenia. The beautiful surrounding nature, the spaciousness of apartment itself, and the quiet location. Owner/manager very accommodating and flexible about arrival time. The apartment was beyond expectations! It was well located in Ukanc, surrounded by nature. The rooms we're tastefully furnished and the bedroom was really comfortable. The kitchen was well equipped. An absolute recommendation for people who want to stay close to nature/Vogel in a cozy and comfortable apartment. Location is great. Peaceful - calming place. Property has modern amenities , is accessible , very close to the slopes and any summer sports. Everything is perfect! Really nice and cozy place, host is also great and very kind. We felt like home. Placed in wonderful surroundings. Very clean and in a cute modern rural style. Also the outside facilities (fireplace, loungers) are awesome. 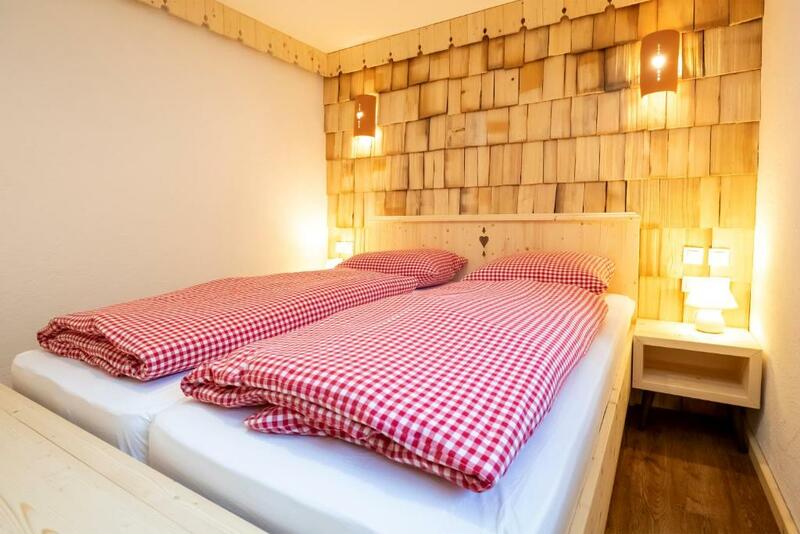 Lock in a great price for Chalet Apartments ALPIK – rated 9.5 by recent guests! 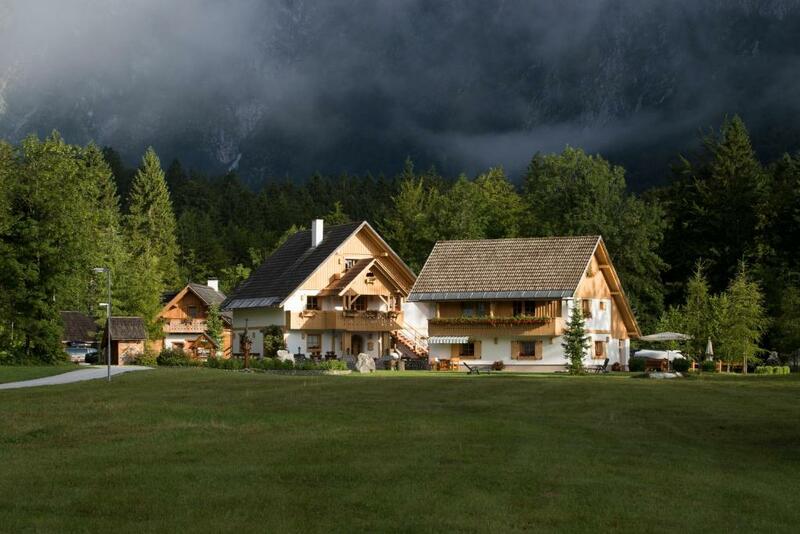 One of our top picks in Bohinj.Located in Ukanc in the center of Triglav National Park and a short walk away from Bohinj Lake, Apartments Alpik offers modern Alpine inspired apartments with balconies or terraces set in nature surroundings. Free Wi-Fi is provided in all areas. All stylishly appointed apartments have central heating, a well-appointed kitchen with a dining area, as well as a seating area with a flat-screen TV. Private bathrooms consist of a shower, a hairdryer and free toiletries. Bed linen and towels are provided. 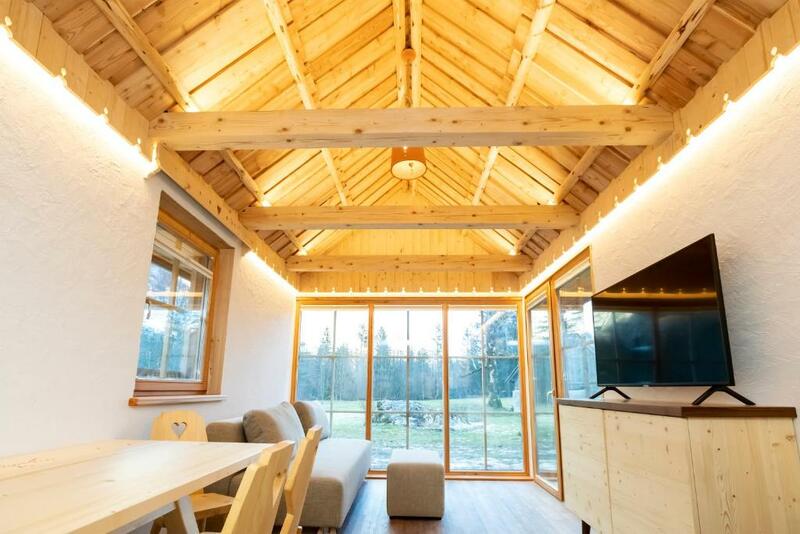 Apartments Alpik is located only 2,300 feet from the Vogel ski center , while in the vicnitiy guests can enjoy activities such as cycling, kayaking, climbing, swimming or skiing. Bled is 19 mi from Apartments Alpik, while Ljubljana can be reached in 53 mi. Ljubljana Airport is at a distance of 40 mi. Free private parking is available on site. Ukanc is a great choice for travelers interested in downhill skiing, romance and riverside walks. 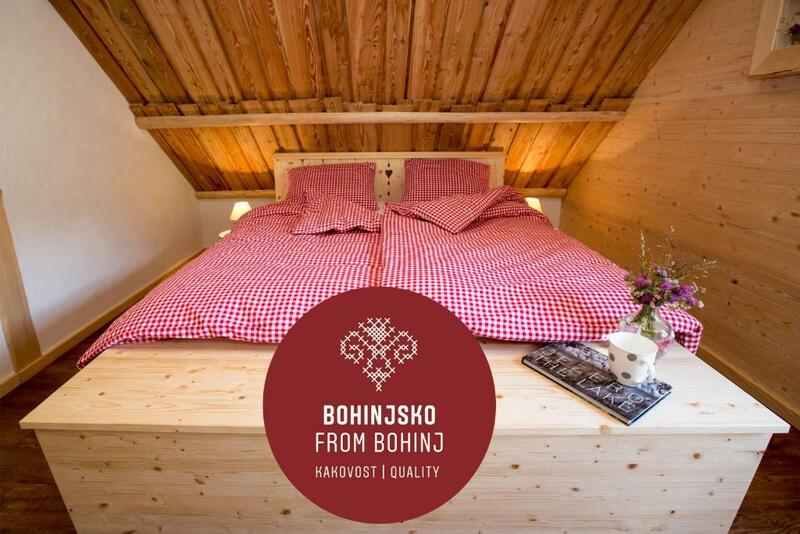 This property also has one of the top-rated locations in Bohinj! Guests are happier about it compared to other properties in the area. When would you like to stay at Chalet Apartments ALPIK? This stylishly appointed apartment is located on the ground floor and features central heating, a well-appointed kitchen with a dining area, as well as a seating area with a flat-screen TV. A private bathroom consists of a shower, a hairdryer and free toiletries. Bed linen and towels are provided. This stylishly appointed two-bedroom apartment is located on the ground floor and features central heating, a well-appointed kitchen with a dining area, as well as a seating area with a flat-screen TV. A private bathroom consists of a shower, a hairdryer and free toiletries. Bed linen and towels are provided. This stylishly appointed apartment is spread out on the first floor and the attic of the house and includes a balcony. The apartment features central heating, a well-appointed kitchen with a dining area, as well as a seating area with a flat-screen TV. A private bathroom consists of a shower, a hairdryer and free toiletries. Bed linen and towels are provided. This stylishly appointed apartment comes with a balcony and features central heating, a well-appointed kitchen with a dining area, as well as a seating area with a flat-screen TV. A private bathroom consists of a shower, a hairdryer and free toiletries. Bed linen and towels are provided. This stylishly appointed three-bedroom duplex apartment features central heating, a well-appointed kitchen with a dining area, as well as a spacious seating area with a flat-screen TV. On the upper floor guests will find two bedrooms. A private bathroom consists of a shower, a hairdryer and free toiletries. Bed linen and towels are provided. Guests can use the provided barbecue facilities and sun loungers, as well as fresh vegetables and herbs from the on-site garden. 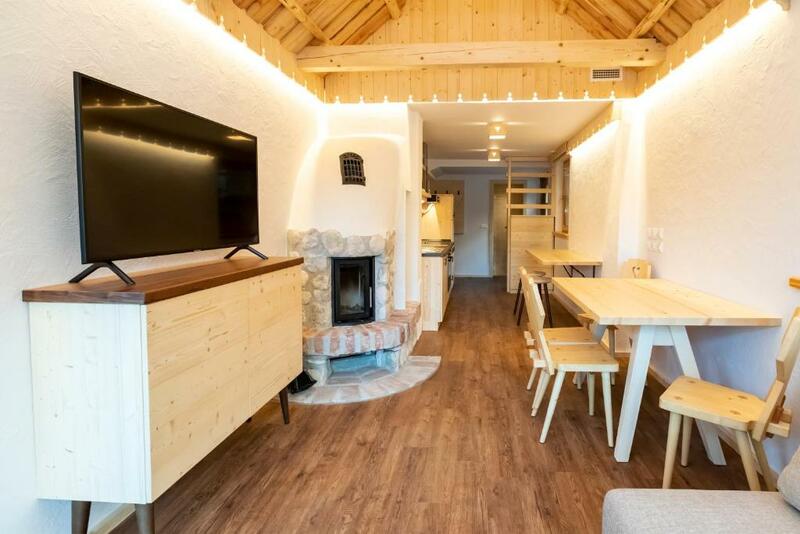 This apartment features a DVD player, microwave and sofa. Zdravo, sem Jaka. Zelo se bom potrudil, da bodo vaše počitnice nekaj najlepšega kar ste doživeli. UKANC - ZLATOROGOVA DEŽELA V čarobnem Ukancu v Bohinju so sredi naravne oaze z magično kuliso gora obdani dve večapartmajski hiši in idilična počitniška hišica. Mir čudovitega okolja s svojim žuborenjem še dodatno poudarja bližnja Savica. Prostorni in udobni apartmaji so opremljeni v pristnem alpskem slogu in napolnjeni s številnimi detajli, ki pripovedujejo zgodbe o bohinjskih ljudeh, življenju in legendah ter sobivanju z naravo. V njih so uporabljeni domači naravni materiali, ki bodo vaše počutje v tem čudovitem koščku Triglavskega narodnega parka naredili še bolj udobno in domače. Apartmaji Alpik in hiška Zlatorog so odlično izhodišče za spoznavanje lepot in odkrivanje čudovitega sveta Triglavskega narodnega parka. Tik pred vami vas bo vabil klic narave na sprehode ob jezeru, pohode v gore, na kolesarjenje, kajaking, kanjoning, plezanje, plavanje, smučanje, jahanje, tek na smučeh… Vsi apartmaji imajo čudovit razgled na okoliške gore – Vogel, Pršivec, Komarča, Komna, Podrta gora… V neposredni bližini apartmajev je reka Savica, ki se iz slapa Savica (oddaljen 4,5 km) izliva v Bohinjsko jezero (oddaljeno 250m). Do smučarskega centra Vogel je 700m. Area Info – This neighborhood is a great choice for travelers interested in downhill skiing, romance and riverside walks – Check location Excellent location – show map Guests loved walking around the neighborhood! House Rules Chalet Apartments ALPIK takes special requests – add in the next step! Chalet Apartments ALPIK accepts these cards and reserves the right to temporarily hold an amount prior to arrival. Please inform Chalet Apartments ALPIK of your expected arrival time in advance. You can use the Special Requests box when booking, or contact the property directly using the contact details in your confirmation. Kitchen is well equipped, however we missed some basic ingredients which are usually at disposal by default (sugar, salt). Anyway we asked the manager, and we got them in a moment. Amazing stay. Everything was super!!! Could have been more basic foods - oil, tea etc. We also couldn't work the upstairs tv - but weren't that bothered so didn't try that hard. We stayed for 3 nights and had a wonderful stay, the accommodation was exceptional. Jaka was a great host and we loved being so close to Lake Bohinj. The lake is beautiful and a few minutes walk from the apartment. It was very peaceful and relaxing. We would highly recommend staying here and hopefully we will come back again. The apartments are perfectly built, new, with traditional furniture. Excellent position. Warm and clean.